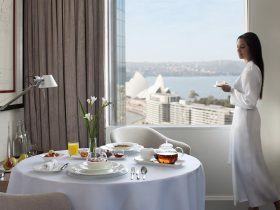 Sir Stamford at Circular Quay offers 105 generously sized, luxuriously appointed hotel guest rooms, including 15 hotel suites, the majority of which feature French doors opening onto Juliette balconies, which overlook the Sydney Harbour, Circular Quay, Sydney Conservatorium of Music or the Royal Botanic Gardens. 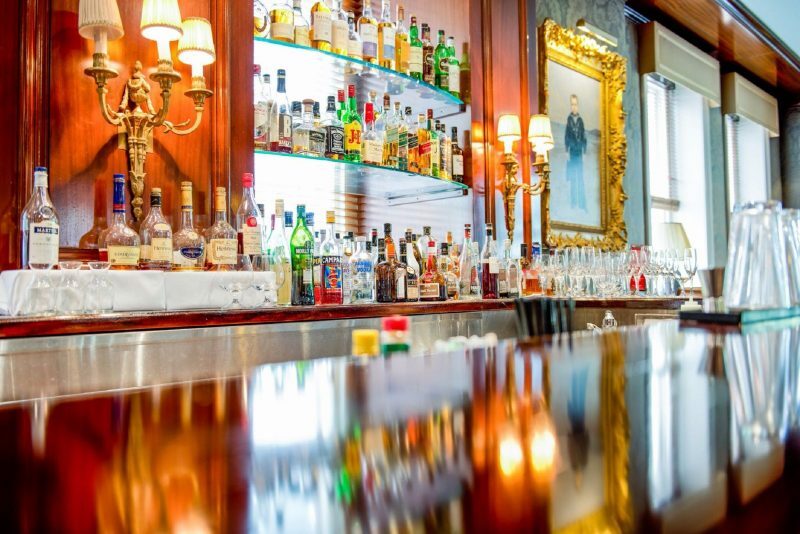 This hotel features 18th century Louis XV and Georgian antique furniture as well as one of Australia’s largest private collections of fine art. The hotel itself partly resides in a stunning building dating back to the late 1800s that is listed with the National Heritage Register. 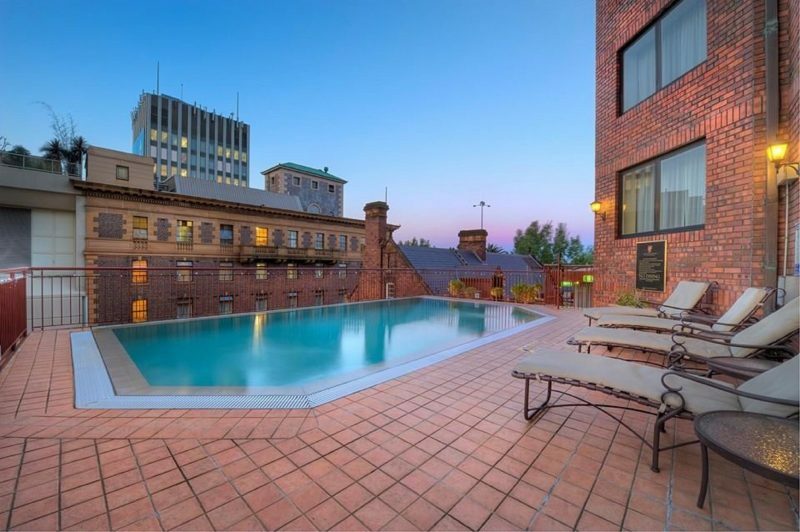 Enjoy open fireplaces in winter and the pleasure of a roof top swimming pool in the summer. 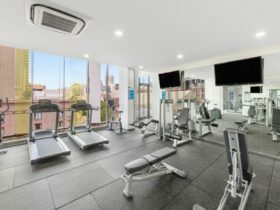 There is a fully equipped gym complete with a sauna. Famous for High Teas, Sir Stamford at Circular Quay has excellent one bedroom suites and one of Sydney’s largest Presidential suites complete with a Steinway baby grand piano. The living room is spacious and offers two lounge suites, a Steinway grand piano, a bar and a rich mahogany writing desk complete with high speed internet access (charges apply). 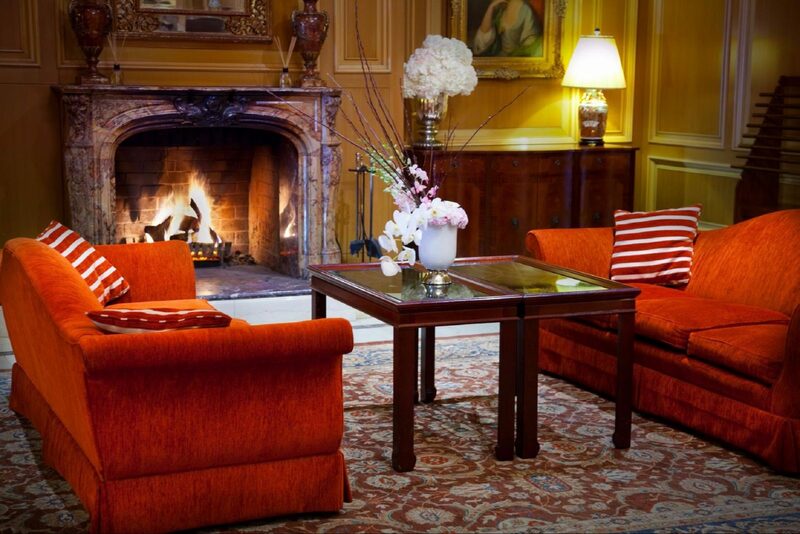 Antique paintings and a Louis XV marble fireplace are focal points of the lounge room. The split-level master bedroom features a king sized bed, with marble Louis XV antique fireplace. An additional remote control television is situated in the bedroom and large windows with silk drapes frame the city views. This room includes a separate dressing room and powder room. 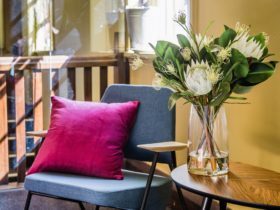 Luxurious and spaciously appointed guest rooms (approximately 44 square metres) offering a distinct design and decor to complement the heritage building, in which part of the hotel resides. The room features king bed configuration, a two seater lounge area and two lounge chairs with coffee table, large mahogany writing desk, complete with high speed internet access. The majority of these rooms feature French doors opening onto Juliet Balconies, featuring views of Sydney. Elegant in decor, stylish in design, spacious and comfortable, this room features mahogany furniture, king or double bedding configuration, sitting lounge and writing desk. 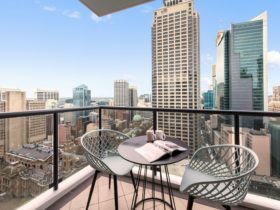 French doors open on to Juliet Balconies or terrace (on some rooms – please speak to the reservations team on booking to determine the aspect) with panoramic views of Sydney. Please note that king/twin bedding is subject to availability on booking. Deluxe rooms’ size means they are well suited for an additional person on a roll away (charges apply). An elegant vestibule leads into a welcoming, stylish and sophisticated sitting room, complete with lounge suite, a mahogany writing desk with two telephone lines, direct ISD/IDD dialling, large television and CD player. 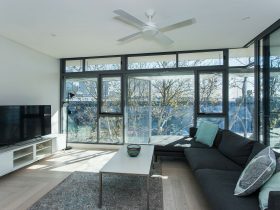 The bedroom features a king bed, large French doors open on to Juliet Balconies, some overlooking the city and others over looking Sydney Harbour.